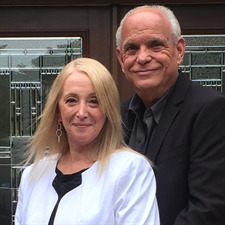 Lawrence "Larry" And Sheila Agranoff are The Top Team at Charles Rutenberg Realty, listing and selling Real Estate on The North Shore and South Shore of Long Island. We specialize in representing home sellers and home buyers by providing exceptional Real Estate practices. We are familiar with L.I. Gated Communities, Condos, 55+ Neighborhoods, Luxury Homes, Single Family Residential Residences, Re-sales and New Construction. With a high degree of professionalism, honesty and a penchant for working hard, Larry & Sheila built a strong reputation in the Real Estate Business. To us, it's simply a matter of doing the right thing, and treating our clients the way we want to be treated. With trust and integrity, we earn loyalty and embrace our worth ethics by being ourselves. As our client, you will receive continued support and guidance throughout the buying and selling process. We look forward to helping you realize your Long Island Real Estate dreams, and we are confident that you will feel we exceeded your every expectation!